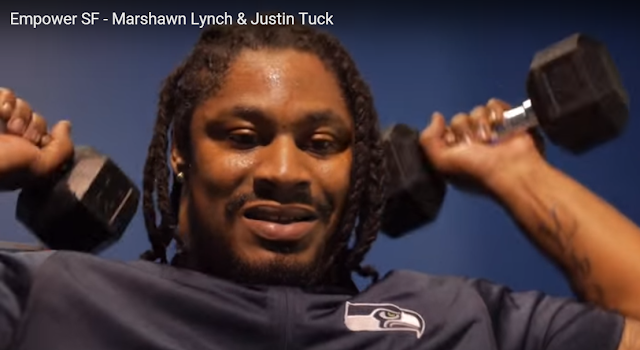 Seattle fans have been wondering what Marshawn Lynch has been up to for the last couple months, and up until yesterday it was only bits of information here and there. Empower uploaded a video on YouTube that gives a glimpse into what were rumored to be 8-10 hour a day workouts and the mentality behind their program. The video also included Justin Tuck talking about what the mind and body are capable of doing when approached with the right framework in place. I can't embed it, but you can watch it here.